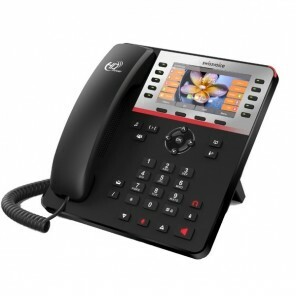 The Swissvoice CP2503G is a professional phone with TFT color display, able to administer 4 SIP accounts. It is suitable for companies looking for an easily manageable phone. The CP2503G offers incredible time savings and optimal contact management thanks to its access to the local and network directory. Thanks to Swissvoice CP 2503G technology, it is possible to put calls on hold and pass 10 simultaneously. 8 function keys and 4 shortcut keys are installed in addition to the programmable shortcut keys to facilitate user administration. Many functions are present: secret, waiting, transfer, forwarding, encore, transferring an incoming call without picking up, not disturbing, locking the keyboard,etc. The CP2503G has Gigabit ports and all the benefits of this technology: easy migration, easy administration, easy and quick learning for administrators and users, affordable price. 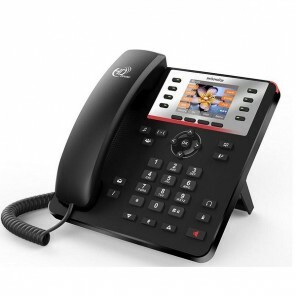 The Swissvoice CP2503G offers the following telephony functions: identification of the name and number of the caller, transfer of calls, 3-way conference ... Its interface is intuitive thanks to the icons and its screen is clear. The telephone has indicator lights for the status information of the line, the LEDs are present to give indications about the calls and the expectations of the messages. 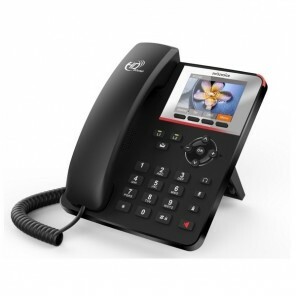 It is an ideal option for small and medium businesses looking for a SIP phone with advanced high quality features at an affordable price.